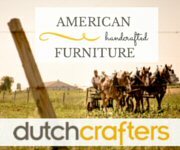 American Made Cookware, flatware, knives, drinkware and kitchen products. Choose from stainless steel cookware and flatware, non stick bakeware and more all made in the USA by American manufacturers. 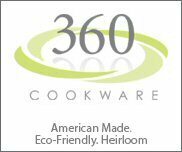 Shop 360 Cookware for stainless steel cookware and bakeware that is manufactured in America and Eco-friendly. Our cookware is designed to last and uses an innovative waterless vapor cooking method to help you cook healthier, tastier meals. 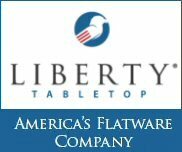 At Liberty Tabletop, we manufacture 100% American Made Flatware. Choose from an excellent selection of patterns and price points. Our flatware is 18-10 stainless steel, meaning it will retain its attractive luster as it is passed down through generations. Alfi knives are the ultimate workhorse for demanding daily use. Rigorously engineered and value-priced to be an essential staple in every kitchen. Made in the USA! American Made Cookware. Shop for Stove Top Pans, Fry Pans, Sauce Pans, Saute Pans, Stir Fry Woks, Cookware Sets, Cookware Accessories, Bakeware, Oven Roasters, Cake/Pie/Cookie, Bread Pans, Pizza Pans and Pizza Pan Sets all Made in the USA. the present and our stainless steel cups enhance the flavor of whiskeys, bourbons & dark rum. Handmade in Michigan.